Bloomberg picked up our note last week about how crypto exchanges are taking sky-high fees to list tokens and altcoins. Looks like the traditional finance world is noticing too. First, the Gibraltar Stock Exchange has a platform called the Gibraltar Blockchain Exchange (that’s why some many startups were jurisdiction-shopping Gibraltar!) that has a standardized ICO process with disclosure and vesting baked in. For a more open version, see Messari. There are multiple efforts from the capital markets as well as legal community to create such standards, but so far nothing has stuck. Some ICOs still just list on a website, others go through a SAFT, and yet others are shopped around by investment banks. Perhaps a defined path to liquidity can motivate some best practice. Second, TMX, the operator of the Toronto Stock Exchange is working with Paycase Financial to launch a Bitcoin and Ethereum trading desk. This will be a regulated broker/dealer under Canadian regulations, launched in the second half of 2018, and (we expect) would offer a more direct ownership structure of the underlying asset than the CBOE/CME futures product. Reminds us of Exante in Europe. Maybe with this in place, someone can finally build at ETF? Further, the Canadian ecosystem seems to be quite forward thinking in its approach to blockchain. Though last year’s bungled attempt by the Tapscotts (due to misrepresentation) to launch a public vehicle holding $100 million for crypto investingdid take a toll on reputation. And third, Monex Group (not the American Monex) is cutting a $34 million check to buy Coincheck. 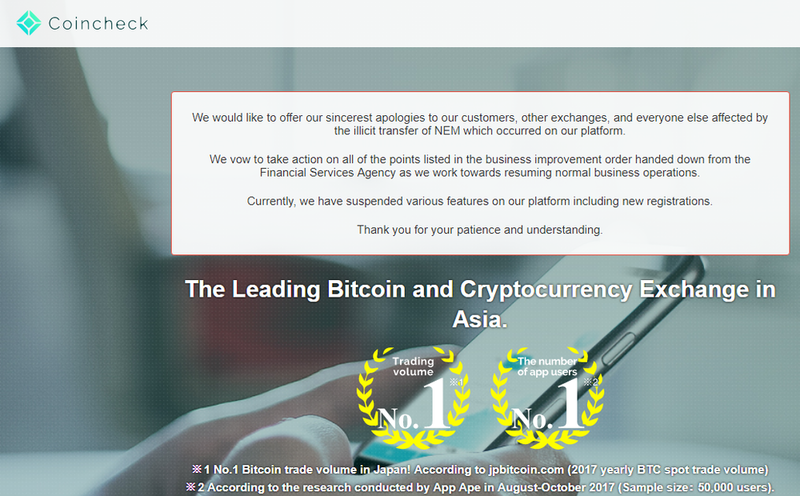 Yes, that Coincheck -- the one that lost $500 million of NEM tokens earlier this year. While this is a far cry from the Poloniex acquisition, it’s still real capital from a publicly traded financial institution. Maybe the largest financial institutions are not impressed with the tech behind crypto exchanges given limited speed, scale, and liquidity, but we think the revenues are too tempting to pass up for the middle market. It’s a land-grab, and the risk-takers will get there first.